Through the wrought-iron gates, along the driveway flanked by lime trees sits Delamere Manor, one of the most exclusive and luxurious, award-winning, Wedding Venues in Cheshire. Set in over 100 acres of rolling Cheshire countryside, our luxury Cheshire wedding venue majestically overlooks a stunning six-acre lake and also boasts a number of sensational options for your wedding ceremony and reception, including the option of five licensed outdoor spaces for you to hold your wedding ceremony. Delamere Manor was once the former residence of the powerful Wilbraham family and more recently the musician and songwriter Gary Barlow. The Cheshire Country House is now privately owned and has also undergone a dramatic transformation over recent years providing a classic yet contemporary backdrop for any special occasion. There are four licensed and flexible spaces for outdoor wedding ceremonies to take place and a fifth option within the gorgeous starlit Courtyard. Wedding breakfasts are also held within the beautiful Courtyard space. This is a sensational, contemporary glass-fronted area, which also features a fully retractable roof. We have also been delighted to win the title of Most Romantic Wedding Venue in the UK with the English Wedding Awards. This stunning exclusive-use Cheshire wedding venue is also perfect for a family getaway or gathering. 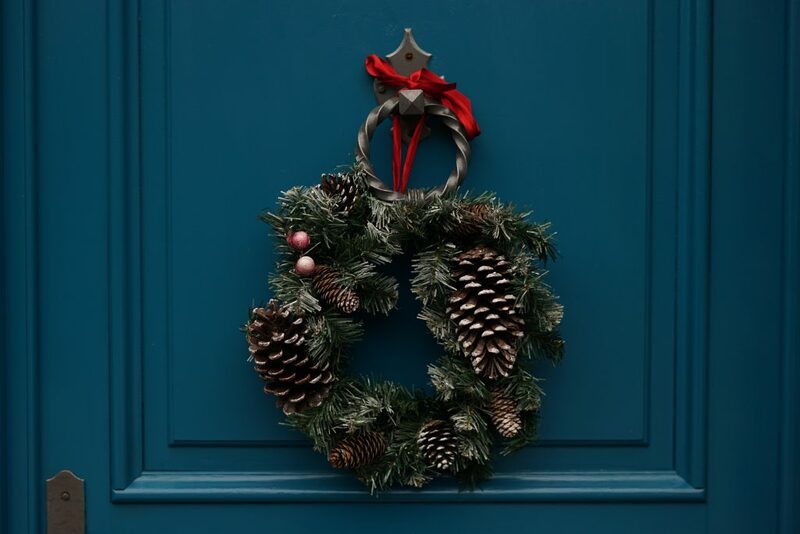 It is also ideal for a product launch or team building day, and is available for film, fashion and photo shoots; we’ve already welcomed Eastenders, Coronation Street and Big Brother stars and a few of the ‘Real Housewives of Cheshire.’ The Manor is also well known for throwing a fabulous Christmas party or two! So keep a look out for our Christmas party dates here. Being awarded the English Wedding Awards ‘Most Romantic Wedding Venue in the UK’, we think you couldn’t be better placed for the most romantic day of your life. Our wedding venue in Cheshire has ample accommodation and boasts six sumptuous bedroom suites. Not only this but an array of chic but homely reception rooms too. Furthermore, Delamere Manor even has its own state of the art nightclub which was previously Gary Barlow’s recording studio, the perfect place to party the night away! Finally, Delamere Manor is set in the heart of Cheshire. It is conveniently located and is also easily accessed from Liverpool, Manchester and Chester. 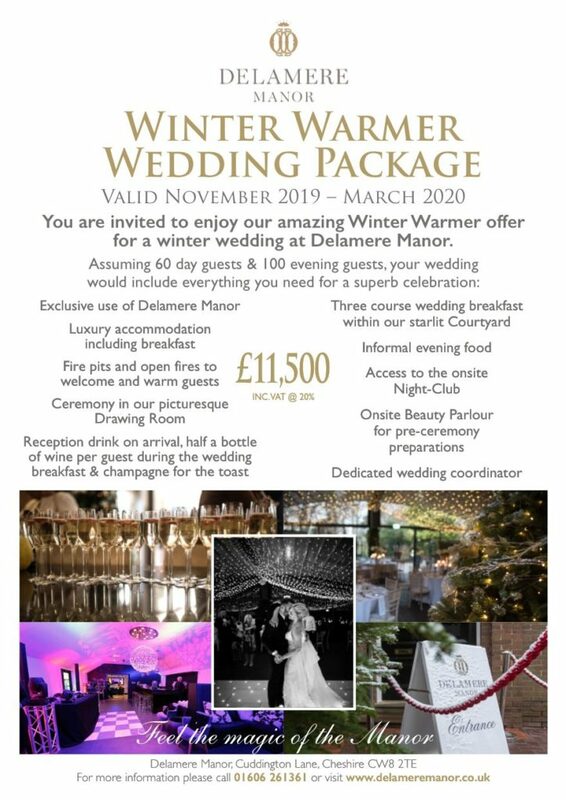 When you book your wedding or event at Delamere Manor, our dedicated, discreet and experienced in-house team and hand-picked suppliers will work with you every step of the way. We will ensure your day is perfect and exactly as you imagined. In addition, we use some of the best Cheshire wedding suppliers, who will happily make recommendations, share contacts and even disclose a trade secret or two!